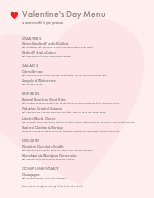 Hanging garlands of tiny pink hearts gives this menu romantic flair. 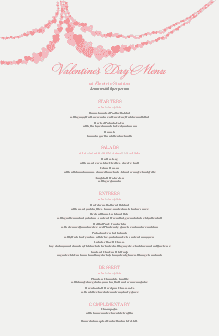 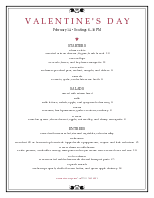 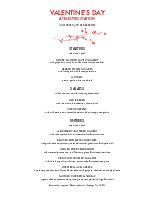 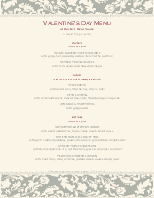 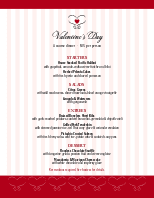 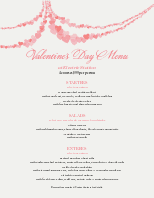 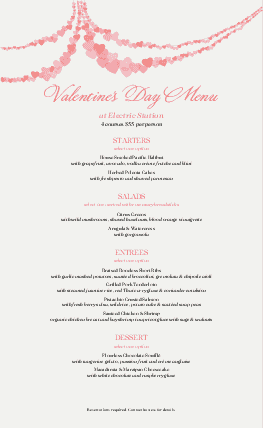 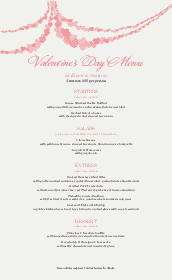 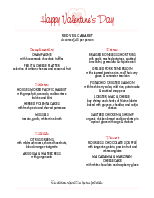 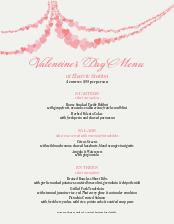 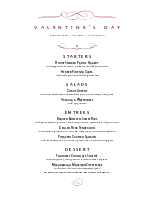 The words Valentine's Day Menu are written in pink script above the centered food listings. 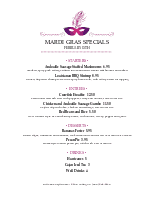 This menu can be fully customized in the online menu builder.